Wacom Intuos Pro Review - Why Should You Buy This Tablet? You are here: Home / Reviews / Wacom Intuos Pro Review – Why Should You Buy This Tablet? Imagine working on your project, maybe coming with an excellent design to sell a product or creating a complex design of a building that has to be seen from its basic structure, its skeleton. Now imagine having a device that communicates directly to your computer on which you draw and make whatever art piece you are creating. This device then immediately sends the results of your actions in real time to your computer. Imagine how easy work becomes imagine how exciting and fun it becomes. The possibilities at your disposal with this kind of technology is unimaginable, and you can now put your creativity on full blown to come up with the best designs and pieces of art that your mind can fathom in any plane of existence. This is what a pen and touch tablet is, a device for art giving you endless opportunities and needless to say endless possibilities. Quickly create and edit photos and create digital art. 2048 levels of pen pressure sensitivity in both pen tip and eraser. Zoom, scroll and navigate your artwork with multi- touch surface and gestures. 8 customizable application specific Express keys and multi- function touch ring with 4 customizable buttons. The nibs on the pen may wear out easily. As said earlier, a pen and touch tablet is a device that could enhance your capabilities and effectiveness to levels even you will be surprised at. 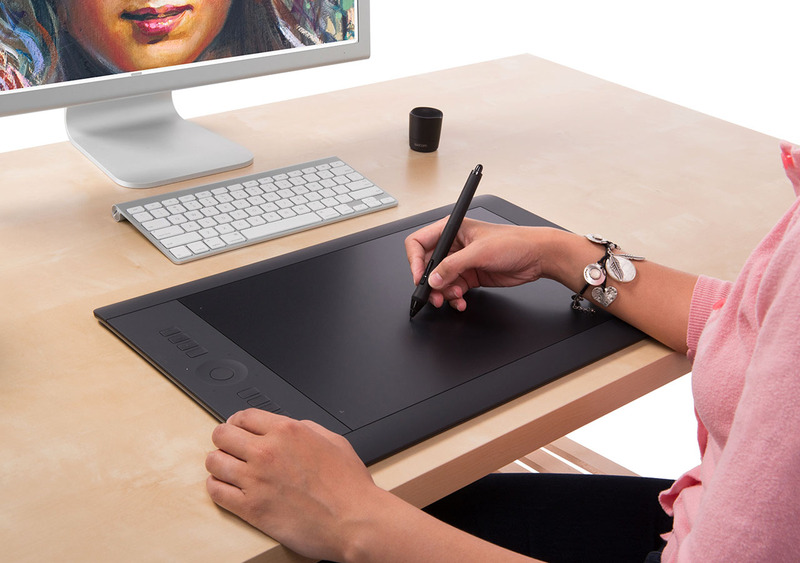 With the Wacom Intuos Pro, you will never have to worry about handling and editing photographs and creating art since it is specially made to be able to take these tasks speedily and with maximum accuracy. Artists of all types can, therefore, benefit hugely from the competencies of this pen and touch tablet, not just editing and changing but also creating pieces of art of all kinds and types. Eve worked in an environment where wires are haphazardly crisscrossing the vicinity going under tables and over monitors entangling into unbearable knots? The result is frustrating, a terrible looking work area not to mention the endless hazards the user is exposed to. 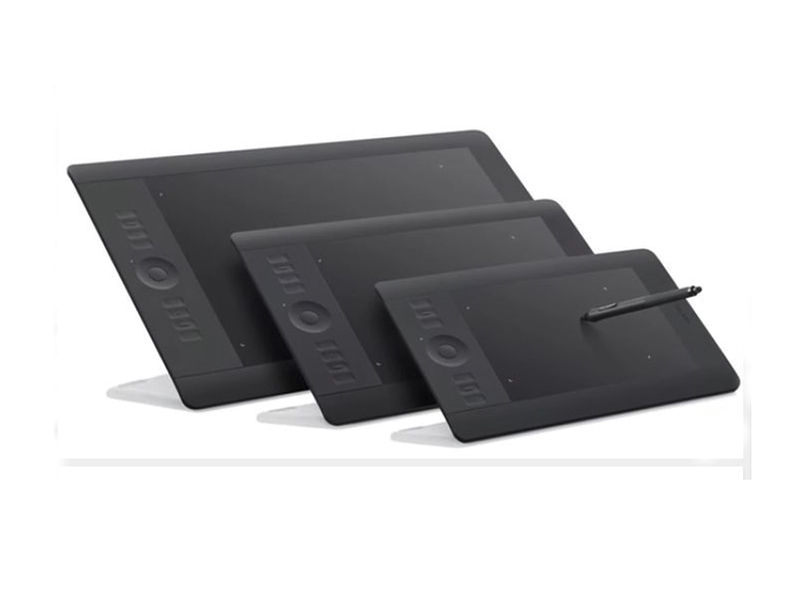 The Wacom Intuos Pro Pen and Touch Tablet is made with a wireless accessory kit that allows you the user to operate effectively in a perfectly enabling environment without having to go about connecting and entangling cables. The wireless accessory kit gives you the ability to work freely and in a less cluttered environment. Any artist will tell you that the feeling you get in your hands, the pressure you apply the sensitivity of the tools you work with have a large influence on the outcome you achieve with the pieces of art you are working on. For this reason, if you are to use a pen and touch tablet it needs to be one with the highest levels of sensitivity and pressure responsiveness. 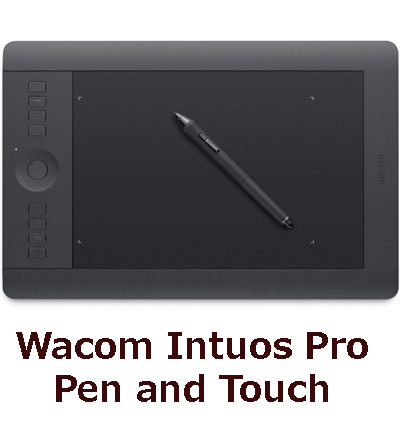 The Wacom Intuos Pro comes with 2048 levels of pen pressure sensitivity in both pen tip and eraser that give you superior sensitivity and a work area that is accurately responsive to the signals it receives from you the user regarding pressure and sensitivity. You will agree with me that an artist’s work area is one place that requires a lot of flexibility, freedom of movement and a great sense of personalization. There will be need to move this, adjust that, tweak something else and so forth. This pen and touch tablet gives you this kind of freedom to play around with your work area and adjust anything to the way you feel is your most preferred. It allows you to zoom to bring your artwork closer, scroll to see every section of your artboard and navigate your artwork as you would like. Many devices that come with ways of operation that are hard and difficult to use and figure out will spend more time on the shelves accumulating dust when compared with ones that present the least amount of friction in their working. Ease of operation and user friendliness have to be the foremost things any maker of any tool considers a priority. The 2048 levels of pen pressure sensitivity in both pen tip and eraser take this quality and make it its own by having 8 customizable application specific Express keys and multi- function touch ring with 4 customizable buttons that assist you to interact with your device at a more enabling level. Q: What is the size of the tablet? Q: How big is the drawing area? A: The large tablet is 12.8 x 8.0 inches while the medium one is 8.8 inches by 5.5 inches. Q: I’m a first- time tablet user, and I’m buying for school use. Would it be better for me to get a small or medium model? A: If you are buying it for school use, I would recommend a smaller tablet because it will easily fit in your backpack. Having a pen and touch tablet is a factor that could multiply your abilities and effectiveness threefold if not more. The Wacom Intuos Pro is one such product and one that exhibits features and capabilities that are likely to boost your artistic side by a good percentage. This is a good choice and considering the wonderful features and capabilities this product boasts, anyone looking to get a good pen and touch should consider throwing an eye in this direction. I can guarantee it is not going to be an effort in futility as you will likely love the service you will get.